Audrey Hepburn said of herself : “I’m an introvert… I love being by myself, love being outdoors, love taking a long walk with my dogs and looking at the trees, flowers, the sky.” She certains sounds like me, except the part about the ‘long’ walks! My latest fascination is taking pictures of trees. There’s something so majestic and beautiful about them. And capturing, on my small camera, tall trees against the backdrop of the sky, bring me great joy. When it comes to blessings, I naturally think of trees. 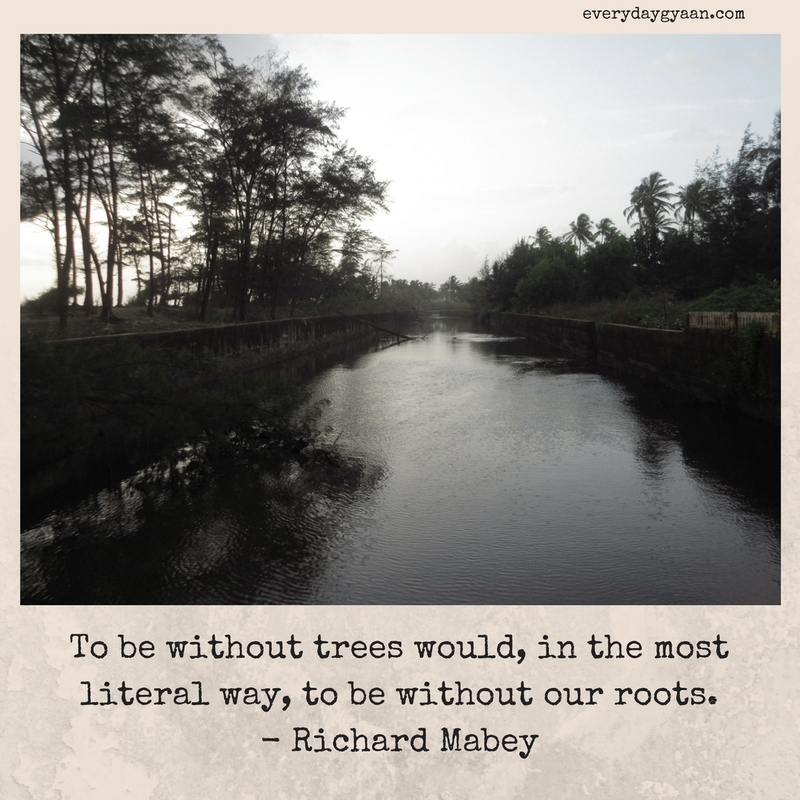 Today I’m celebrating the blessings of trees, as I share with you the photographs I’ve taken from my walks over the last few months in Secunderabad and Goa. What captures your heart when you go for a walk? #FridayReflections with Write Tribe and Sanch Vee and responding the prompt : Take your camera for a walk and write based on one of the photographs you take. August is Blessings month for 1000 Voices Speak for Compassion, so I’m happy to join Yvonne Spence and other bloggers to share my blessings. Ah, yes…oxygen. Love those trees. Love the Cummings quote too. Love quotes about nature and being out in it, experiencing it in different ways, depending on the date and time, the moment we’re in. 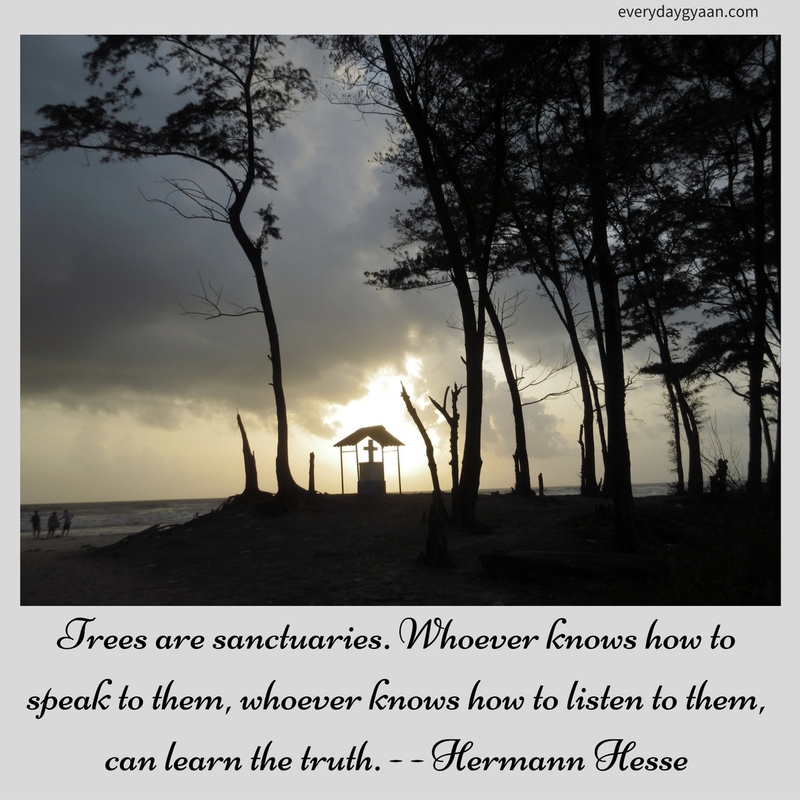 Beautiful photos and quotes Corinne! I do love trees and nature in general. It’s so soothing. Great photos! I, too, enjoy walking among and photographing trees. Ironically, a neighbor gave me a tree – a type he adored – the bradford pear, that turned out to be an invasive species. Now we want to get rid of the thing despite that neighbor having passed away. It all makes me sad. Wish it were a native paw paw tree that would be feeding squirrels right now when their food sources are low. ~sigh~ Will have to save our pennies and get some sort of replacement, I guess. This is so beautiful Corinne.. lovely tree pictures. They are perfect blessings from God. 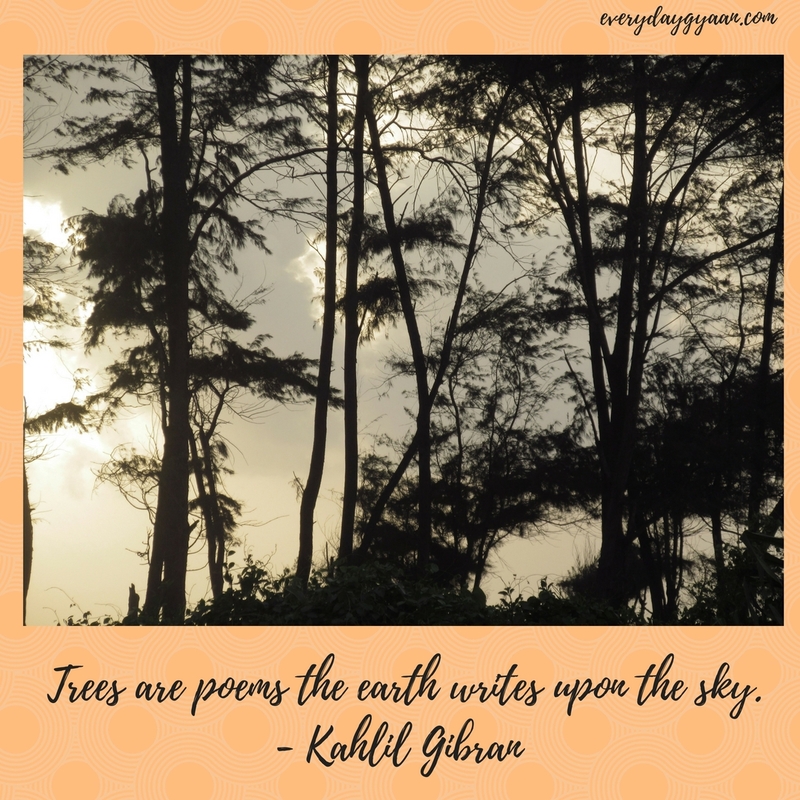 Loved the quote by Kahlil Gibran. Thanks for sharing lovely pics Corinne. 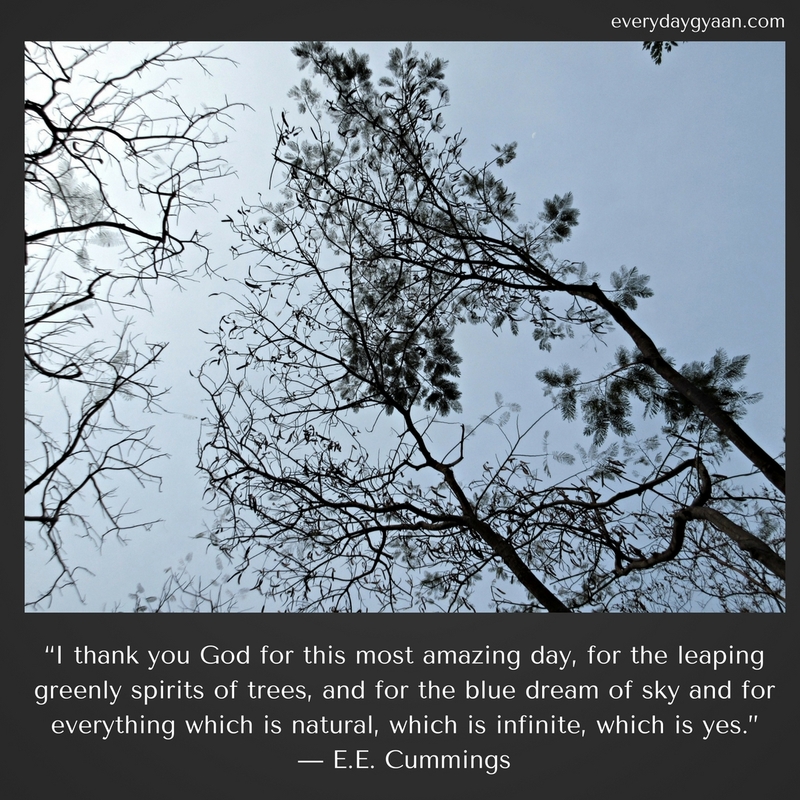 I love your statement about when you think of blessings, you think of trees. I have a similar approach, except I think of flowers! I have also started taking photos of flowers so that I can remember my blessings long after the flowers fade. It is a nice touch adding the poems and quotes. Thanks for sharing! Wow Corrine our posts are so similar in approach. I love your tree pictures. The last picture and the last quote are my favorite of this bunch. I too love trees. Did you hear that the tree famous tree from The Shawshank Redemption is no more? 🙁 I didn’t actually know where it was, but I did want to see it IRL on day. Oh wow! These are some amazingly beautiful captures, Corinne. I have scrolled up and down quite a few times to select the best of the lot and I am at a loss. Great shots and wonderful quotes too! Gorgeous! I’m a photographer and fellow tree lover, so I’m feeling this. I live in one of the most green and tree-filled parts of America, I’m convinced. When I visit other parts of the country, I’m always shocked and I miss my trees! I love being near trees too, and I love how kind they are to us, absorbing pollution so our city air stays clearer. Now I think about it, I feel safer around trees! I love your photos too, and the last one is my fave. Thanks for this! Oh yes, they are the lungs of our cities – if only we can keep them safe. Beautiful photos! I’m a fellow introvert and love being out in nature, too. There’s something so calming with just being silent and listening to the wind rustling the leaves on the trees. Thanks, Beth. 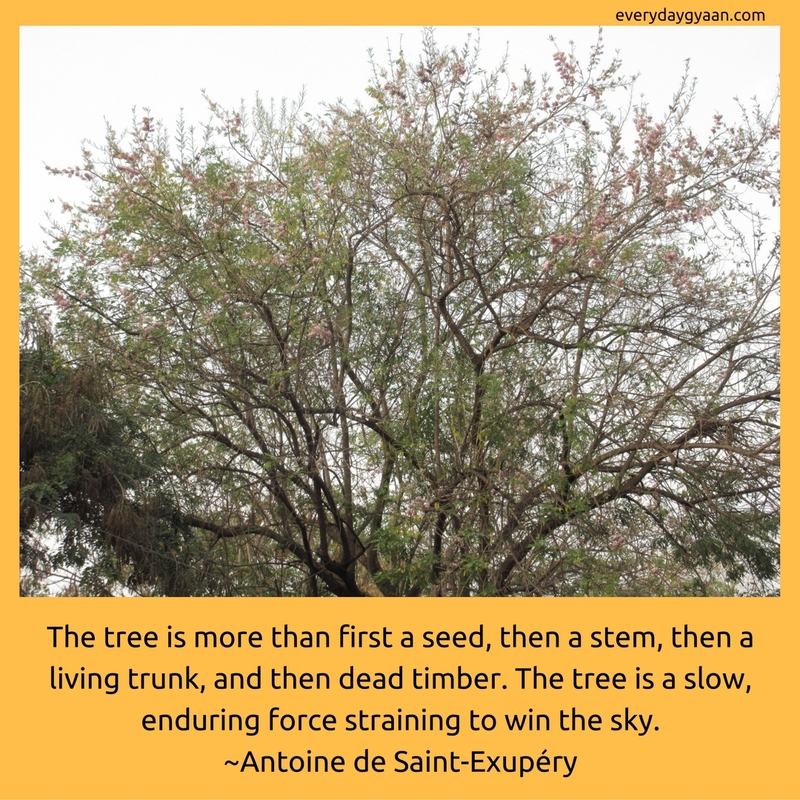 We’ve been having a windy season and I love to hear the creaking of the branches too. You’re so right, Vishal. Thanks for stopping by. Thanks, Pratikshya. Yes, I love the many colours and shades of the sky! I really enjoyed each of the quotes you chose for your fabulous photos, Corinne and am so glad you linked up. I appreciate the reminder to spend some more time looking at the trees around me as well. Very calming. Thanks, Kristi. I did this to remind myself too. When someone like you says the pictures are beautiful, I am overwhelmed, Terri! Aww, you’re welcome, Corinne! Believe it or not, your photos/Quotes gave me a good idea how to display some of mine! Thanks!! Lovely pics and quotes. The trees and the greenery are what brings beauty and peace to any place. Walks along their shades are the most soothing…we needn’t walk, their mere presence feels good. Thanks, Dashy. Nature has such a healing influence, doesn’t it. Lovely Pics Corinne. Don’t know you are a photographer too.. I too enjoy nature when I go for walks. I like watching different hues of sky at sunrise and sunset. I love watching clouds, mountains and fog. Thanks, Mahati. I was just lucky to get these shots.